The Young Vic has a special place in my heart. I have seen some wonderful productions at this theatre including, The Brother Size by Tarrell Alvin McCraney, In The Penal Colony, adapted by Amir Nizar Zuabi, I am Yusuf and This is My Brother, also directed by Zuabi, Joe Turner’s Come and Gone by August Wilson, directed by David Lan and many more. These plays have challenged me, entertained and inspired me. One thing I know about the Young Vic is that they are daring with the productions they put on and in his role as artistic director, Lan pushes the boundaries through the theatre’s collaborations with foreign theatre companies. To date, it is safe to say they have proved successful – a good example being 2008, when he brought Isango Ensemble over from South Africa. What a brilliant production that was, rewarded with an Olivier Award. Well, guess what? Another production from South Africa, The Suit is back and it is directed by the legendary Peter Brook. 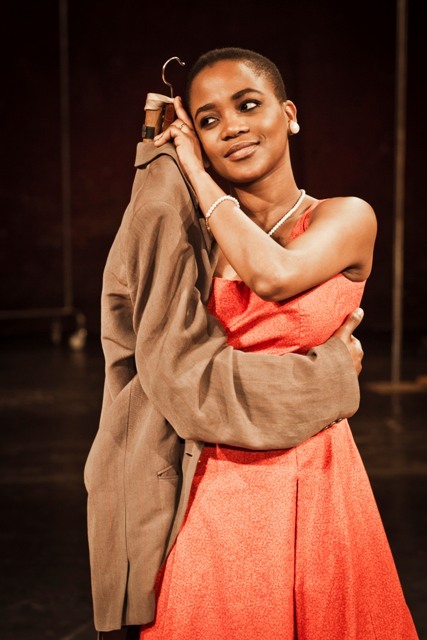 This is the foundation of Peter Brook’s new stage offering, The Suit, part of the World Stages festival of plays currently playing to hundreds of audiences across different theatre venues in London. 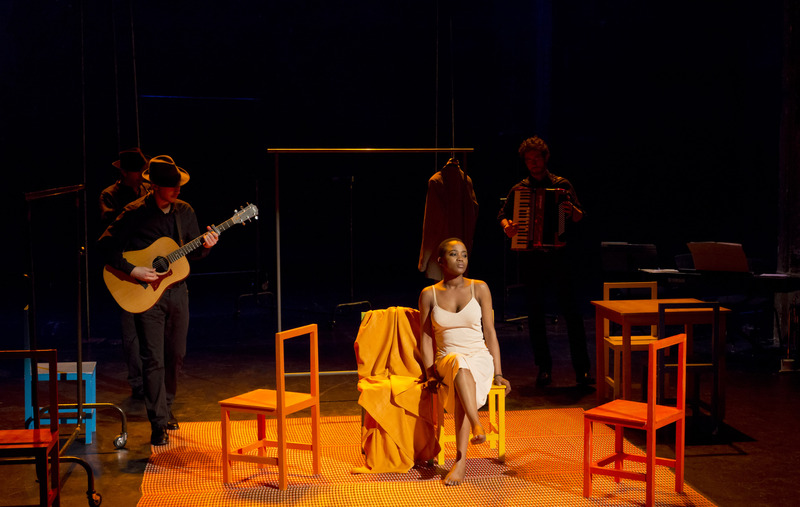 Brook, whose work has been described as that of “a magician who makes so much out of what seems like nothing” and Marie-Hélène Estienne co-direct Can Themba’s hauntingly beautiful story The Suit, with music by Franck Krwczyk. Performed by a company of international actors, singers and musicians, this run at the Young Vic follows its critically-acclaimed world premiere at the Théâtre des Bouffes du Nord in Paris. World Stages London is a collaboration between eight London producing venues and 12 UK and international co-producers. A once-in-a-lifetime celebration – through theatre – of the exhilarating cosmopolitan diversity ofLondon, it is a series of exceptional shows created by leading artists, each drawing on the history and experience of the capital’s cross-cutting cultural communities. World Stages London has been jointly produced by Battersea Arts Centre, the Bush Theatre, the Lyric Hammersmith, theRoyalCourtTheatre, Sadler’s Wells, Somerset House, Theatre Royal Stratford East and the Young Vic. “Londontheatres have never collaborated in this way before. We are demonstrating that together we can achieve so much more than we can on our own” says co-directors of World Stages London, David Lan (artistic director of the Young Vic) and Nicola Thorold. In creating these shows, they are joined by the Actors Touring Company, Kings College London, Kneehigh, The Opera Group and WildWorks from the UK as well as No99 Theatre of Estonia, the Munich Kammerspiele of Germany, KVS of Belgium, ShiberHur of Israel/Palestine, the Bouffes du Nord of France and the American Repertory Theatre of Boston, USA. The shows will be seen by a hundred thousand in London and thousands more across the world. This entry was posted on Friday, May 11th, 2012 at 3:57 am	and is filed under Africa, African Diaspora, Art and Culture. You can follow any responses to this entry through the RSS 2.0 feed. You can leave a response, or trackback from your own site.